"Do not sit on sharp objects such as tools when occupying the front passenger seat. This can adversely affect the occupant classification system." Does that mean they can downgrade me from an intelligent occupant to one that is not so smart? Why does sitting on sharp objects in the driver's seat not adversely affect the occupant? Better yet, a "presidential car". 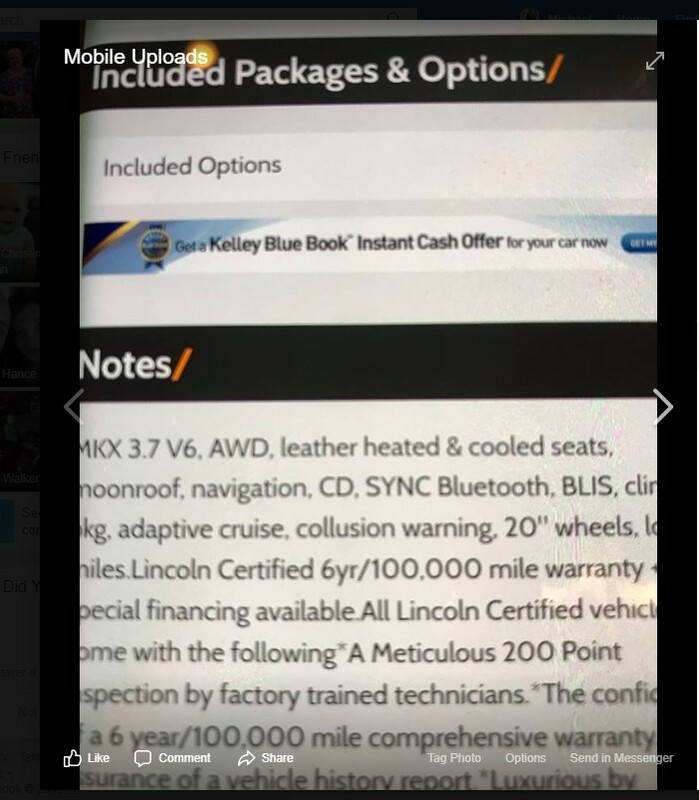 Was looking for a MKX. Check out the third line, center wording. I wonder what kind of warning comes up ? ? ? Must be some special edition for lawyers and politicians. That might turn it to quite the nuisance alarm for some individuals.